At our store, you will find a great combination of fabulous bargains in an inviting atmosphere ! 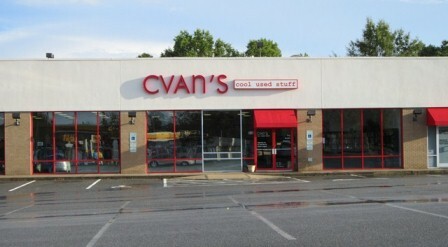 All clothes, household / housewares, accessories, books, DVD's CD's and linens. All our profits go directly to helping battered women and their children find safety, shelter and support through our many services. Donations: The merchandise comes directly from you, the community! You can drop off your donations at the store during store hours. Clean out your attic, basement & closets! Can't take - TV's, large appliances, mattresses, cribs, car seats, computers, building materials & magazines. If you aren't sure about a donation - give us a call. Thanks! Volunteering: We count on you to help run the store! Click here to visit our volunteer page or call us at the CVAN office at 704.788.1108. Click here to check out the 2011 renovations at the store!